A celebration luncheon will be held following the service at Big T's Restaurant; 155 N. Main Street, Lawton. All who knew Vicki Slocum would agree that there was no one who met her and left unchanged. She was passionate about the things she enjoyed, and her life’s mission was to inspire, teach, and encourage others to be their best. Vicki was a devoted mother, but she just might have argued that becoming a grandmother was the very best thing to ever happen to her. A longtime resident of the community she loved, she was continually giving of herself to bless others in ways both great and small. Life will never be the same without Vicki here, but she leaves behind a timeless legacy that her loved ones will proudly carry on in her footsteps. During the first half of the 1940s, the eyes of our nation were focused overseas as WWII raged on. Countless young servicemen and women were serving while those who remained stateside became all too familiar with rationing on common goods and manufacturing that was focused on supporting the war effort. 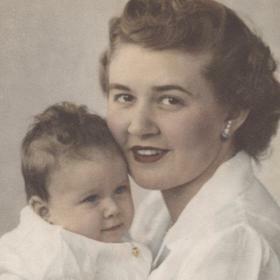 It was in February of 1942 that Harold and Margaret (Lang) Stofer were pleased to announce the birth of the baby girl they named Vicki Lynn on February 18th. Born in Elmhurst, Illinois, she moved to Lawton, Michigan, at a young age. Vicki’s father owned the Citgo station in Lawton while her mother was a stay-at-home mother who also volunteered in the community and worked a bit here and there. Vicki was very independent as a child and helped to raise her brother, Paul, who was 14 years younger than she was. She attended local schools and also went to nursing school for a time. As a young woman, great changes were in store for Vicki when she met and later married Charles “Chuck” Slocum. Together they were blessed with the births of two children, Lynn and Richard “Rich.” When Lynn was a baby, Vicki worked as a nurse, but she was primarily home with her kids. When Lynn went to college, so did Vicki.  Once she was finished with her school, Vicki was poised for an incredibly rewarding career. She taught in Kentucky for six years, and she spent more than 20 years teaching in South Haven. Vicki also earned her master’s degree in history. As a social studies teacher for South Haven Schools, Vicki was like a breath of fresh air. Her assignments in class were always above and beyond in both preparedness and information. Vicki had amazing displays for both WWII and the Holocaust, and she always treated these periods in history with great respect. 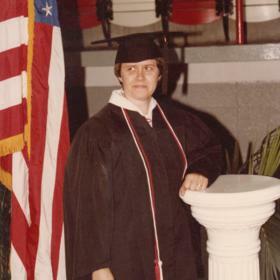 There was black velvet covering each section of her presentation, and as the language arts teacher narrated the story, Vicki would quietly and carefully uncover each section to preserve the importance of respecting this time period in history. Vicki even engaged local businesses to donate materials for her lessons, which resulted in keeping her students highly engaged and interested in the topic at hand. 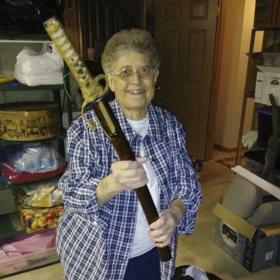 She created globes by painting pumpkins; she made a special trip every year to the oriental store in Grand Rapids to buy supplies for the Japan series. Vicki’s home in South Haven was a museum dedicated to her family and friends as she collected everything from everywhere. No one really knows where some of her treasures came from but the majority of her furniture was family heirlooms and the rest was lovingly picked up here and there, brought home and beautifully refinished. Every inch of Vicki’s floor and cabinets were full, which made her home fascinating to her grandchildren. Vicki fiercely loved all of her dogs including her Lhasa Apso, Ginger, and her Shih Tzus, who were named after the Little Rascals, Spanky who shared the character’s personality and Alfie who had the unforgettable cowlick. It has been said that Vicki’s dogs were her children who booted her human children into second-class citizens. Vicki’s dogs went with her everywhere. With a heart that beat to give to others, Vicki Slocum was a gift in the lives of everyone she met. She always made sure that her children and the children at school knew they were cared for, and her friends became family. Vicki was selfless, expecting nothing in return, and her devotion to her family and friends was unmatched. Deeply loved, she will be forever missed. 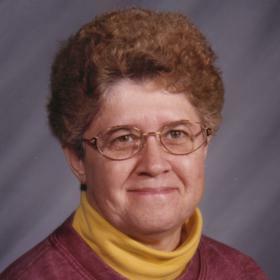 Vicki Lynn Slocum, of South Haven, passed away April 30, 2018. 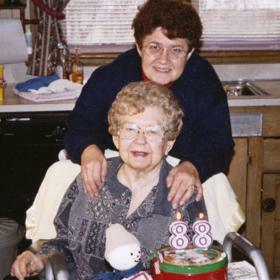 Vicki’s family includes her children, Richard “Rich” (Angelia) Slocum and Lynn (Leonard “Len”) Foster; grandchildren, Brittany A. “Alex” Slocum, Michael Z. Foster, Hallie K. Slocum, Trent D. Slocum; siblings Paul H. (Carol) Stofer; niece Sara Stofer-McGruder; cousins and several close friends. Visit with Vicki’s family and friends on Friday (May 11) from 4:00-7:00 p.m. at the Betzler & Thompson Life Story Funeral Home, 60900 M-40 Hwy, Paw Paw (269) 657-3870, where services will held on Saturday (May 12) at 11:00 a.m. A luncheon will follow interment in Oak Grove Cemetery, Lawton at Big T's Restaurant; 155 N. Main Street in Lawton. 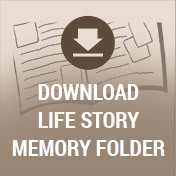 Please visit Vicki’s personal memory page at www.BetzlerFuneralHome.com where you can share a favorite memory or photo and sign her online guestbook before coming to the funeral home. Memorial contributions may be made to the American Heart Association or the American Diabetes Association.